Nina and I took a hike in the North Carolina Arboretum again today. I didn't take a lot of pictures, and of the ones I did, I think only two have even a modicum of merit. They are basically the same subject, framed two different ways. Which do you like better? And it only took 38 months! I guess MemphisMOJO knows that now, in case he was ever in doubt. He of the poker, bridge, and photography blog just made what I have to assume is his best run ever, getting all the way to 3rd place in the WSOP Seniors event, and walking away with $279,412 in prize money. Not too shabby for three days' work. I wasn't watching the live video, but apparently his other fans were, and they said that he raised a couple of times with The Mighty 2-4 towards the end, winning the pots. He must have flashed the cards for the camera, because the PokerNews hand-for-hand blog does not seem to report them. Congratulations, sir. Truly superb work. 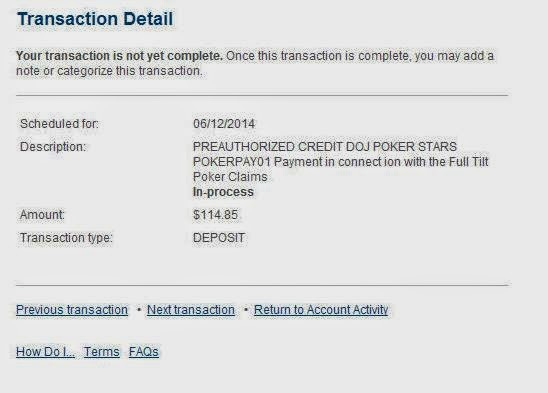 Now you can pay me that $275,000 you owe me for teaching you everything you know about poker, and still have a little party money left over!